No, it’s not New Glarus Fest (although that would be AWESOME)…it’s just that it happens to be the majority of beer currently in my apartment. 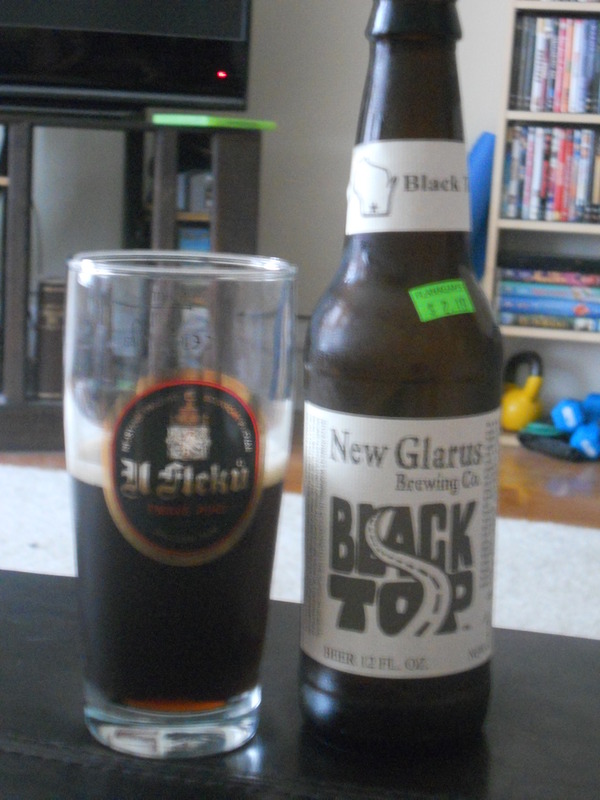 Black Top is a new brew from New Glarus Brewing Company. It’s a Black IPA, which intrigued me so much I had to pick up a bottle. (Side note: build-your-own sixpack at stores with huge selections is fantastic.) The staff over at New Glarus recommend you drink this with steak, Mexican food, or creme brulee. Quite the mixture there. And because this is a Wisconsin company, they also recommend this beer with Brie or Gouda cheese. I’m pretty sure I had it with a chicken patty…. Style: American Black Ale (Black IPA). ABAs, also called Black IPAs or Cascadian Dark Ales, range from dark brown to black in color. They have the hoppiness and citrus flavor of a traditional IPA but, unlike traditional IPAs, also have malty and roasted notes. Overall Impression: Hello, hops. This has the initial taste of an IPA but it settles into those malty flavors I mentioned above. On the second taste I even got a hint of chocolate–what a nice surprise! This would be a great springtime beer because it is still quite light and has those citrus and hop flavors, but would also be good for early fall. Appearance: Black with some brownish hints. Think dark coffee. Clear but so dark you can’t really see through it. Good head although the retention was not excellent. Aroma: Hop hoppity hop hop hop. 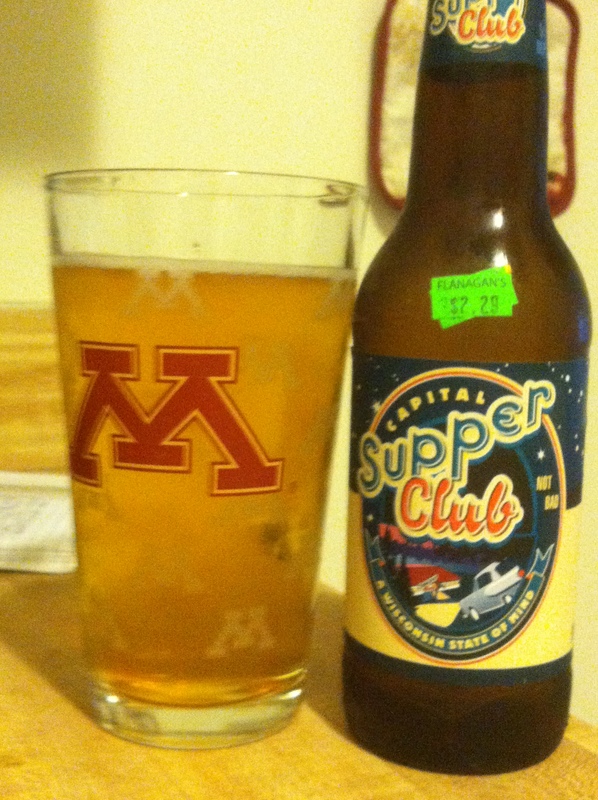 Taste: Initially you get hops and citrus much like your standard IPA. As the taste hangs around though, the roasted and malt notes come through. Does NOT leave you with a bitter aftertaste–another pleasant development from this beer. Mouthfeel: Difficult to describe. It had good carbonation and lingered long enough on my taste buds so that I could sense the complex flavors of this beer. 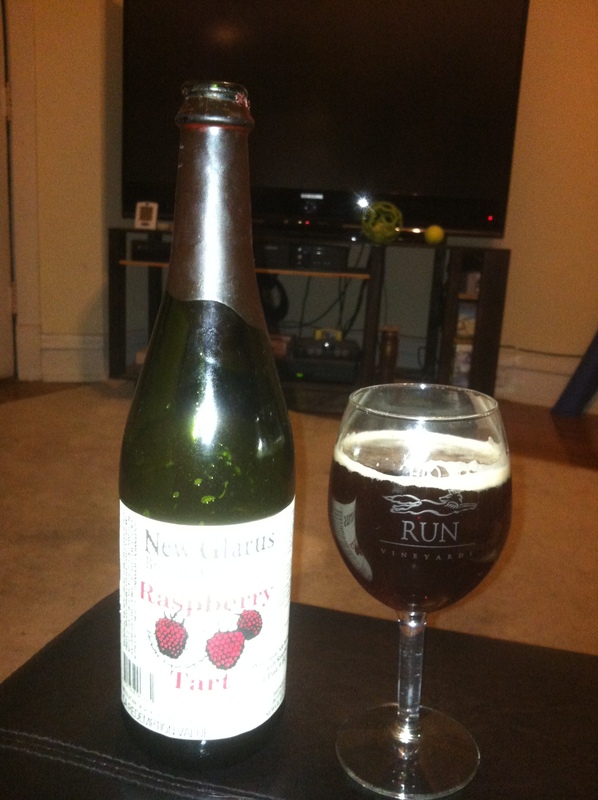 This Raspberry Tart may just be The Fruit Beer. It’s that good. Google a better image of this beer. You’ll be able to see just how beautifully red it is. It’s like shining like through a ruby. Also, this is meant to be served in a champagne flute but apparently I don’t have any of those…. Style: New Glarus claims this is a framboise, which basically means a Belgian lambic beer that’s brewed with raspberries. 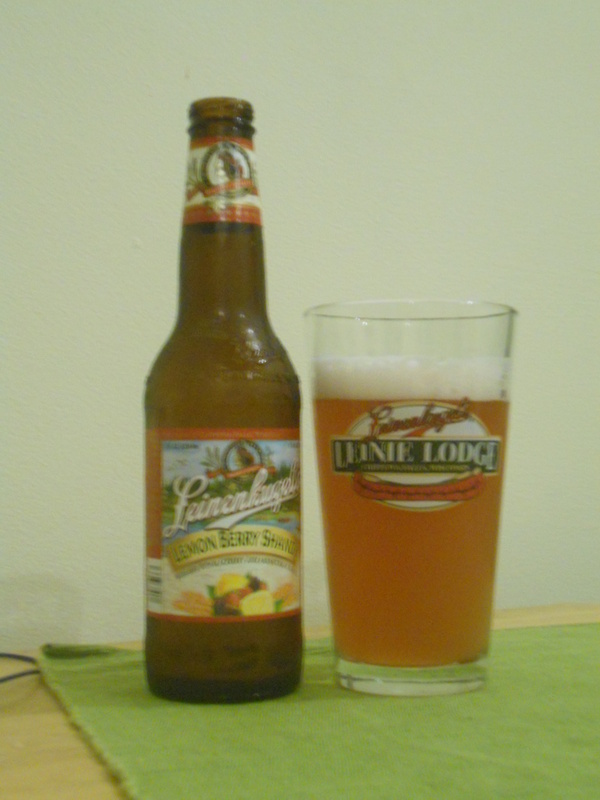 BeerAdvocate gives it the highly generic term “Fruit/Vegetable Beer.” I’ll go with New Glarus because it sounds fancier. 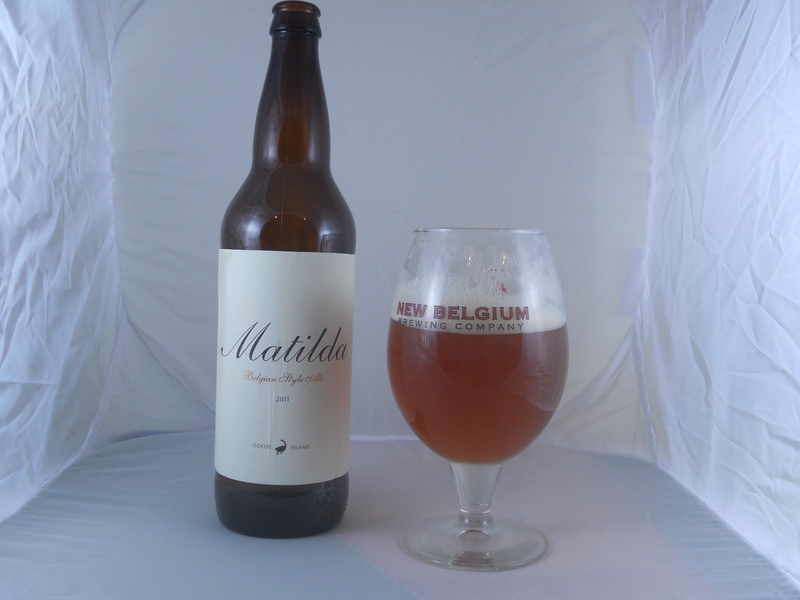 Basically, in these beers the fruitiness dominates over the malt and hops. The boyfriend wasn’t even sure it was beer. But believe me, it is. Overall Impression: RASPBERRIES!!! You know that meme “Clean ALL the things!!!”? Well this is “use ALL the raspberries!! !” But it’s good. It is damn good. I really, really hope you like raspberries though. If you do not enjoy fruity alcoholic drinks, stay away and leave some for the rest of us. Appearance: Ruby-red and clear. You can see the carbonation. It resembles a sparkling wine, actually. Mouthfeel: Like sparkling wine. Goes down smooth though if you can handle all the fruit. I probably could have drank the entire bottle myself. Try this if you like: Naked Dove’s Berry Naked, Wisconsin Belgian Red, Blackbeary Wheat, just about any true fruit beer. Shandies do not count. The Guide Now on Untappd! Yes, I’ve finally joined the 21st century and just got Untappd. In case you haven’t heard of it, it’s an app that lets you track the beers you drink as well find good places to drink nearby. I’ve been aware of it for quite awhile but just never joined. You can connect via Facebook if you happen to know me in real life, but in case you don’t and you want to connect anyway, my user name is BeerSnobette. Look for a new post tomorrow and a new review next week Monday! And I’m on a TWO WEEK break from grad school this week, so hopefully I’ll have a bunch of new reviews to write as well.